The Amazing Arizona Comic Con has just wrapped up as it was held this January 8th and 9th and the early birds received a Walking Dead exclusive comic. There were several cast members from The Walking Dead there to give interviews and to meet the fans that were dying to catch a glimpse of the stars of the show. There was Jon Bernthal who plays Shane, Steven Yeun who plays Glenn and of course Robert Kirkman who is the man behind the comic. There was even a Walking Dead panel that allowed for more questions and more insight into the show. The first 1000 people in the door received gift bags that had a Walking Dead exclusive comic from #80 that was released on January 5th. The Walking Dead exclusive comic had a cover that was taken from the actually TV series. In the episode “Guts“, where the group of survivors fight their way out of Atlanta, Rick Grimes takes an axe and catches a zombie right in the top of head. This image, which is quite brutal, is the one used in The Walking Dead exclusive comic cover for #80. Kirkman, Bernthal, and Yeun exchanged some thoughts and even some humor as the crowd sat and listened. While the show with its short inaugural season captivated the audiences, we can only imagine what is in store for future seasons or how long the show will end up running for. 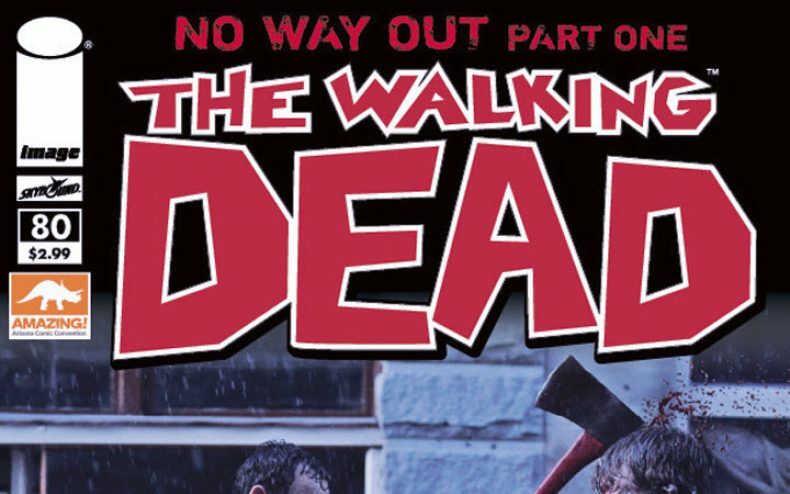 We do know that there were 1000 lucky fans that were able to get their hands on that Walking Dead exclusive comic that will surely become a hot collectors item in the future.